A man accused of killing eight people and injuring 12 after driving a truck into pedestrians in New York in October has pleaded not guilty to charges of murder and terrorism. Sayfullo Saipov, who arrived in the US from Uzbekistan in 2010, entered his plea at a federal court on Tuesday. He faces 22 murder and terrorism charges, including providing material support to so-called Islamic State. 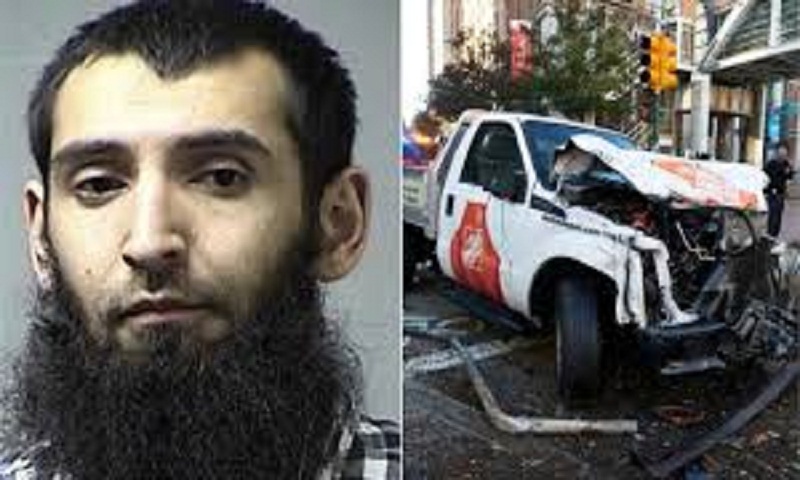 Saipov was arrested immediately after the 31 October attack in Manhattan. It was the deadliest attack on the city since the 9/11 terrorist attacks on the World Trade Center in 2001. Saipov was shot by a police officer immediately after the attack and arrested. The next hearing in Saipov's case is scheduled for 23 January.